The sun was already up and shining. The mighty Sanaga River laid in beautiful light in front of us. A small wooden boat was hired for this morning to pick us up at a sand pit at the shore of the river for a morning trip on the water. When we arrived, nobody was there. But some more minutes later we saw two guys heavily paddling a small canoe down river. We embarked the canoe only minutes later and started the trip. Large sandbanks in the middle of the river were our first stop. Eventually we made our way down the river to some more matured sandbank, which has become well vegetated islands. The banks of these islands were quite steep and the water in front so deep that the driver of the canoe could not fix the boat with his long wooden stick. Maneuvering the boat with the paddles against the currents, I saw a typical weaver nest hanging less than half a meter above water level on reed. I tried to tape the Orange Weaver (Ploceus aurantius) with its call. 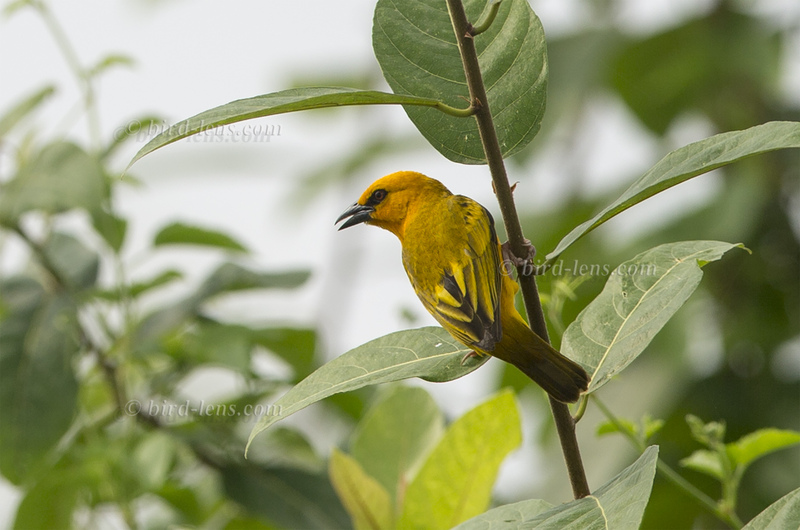 Only a fraction of time, a small yellow bird with an orange wash on the head and breast appeared: the male of the Orange Weaver. What a bird! 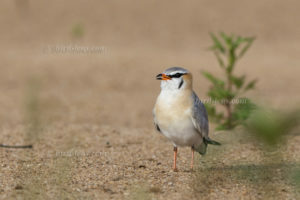 The black eyestripe which curves down behind the eye, the light chestnut nape, and the white supercilium features a small beauty: the Grey Pratincole (Glareola cinerea). Add a light grey for the upperparts and a white rump with a black tail you are ready with the ID. The excursion to the Sanaga River in the South Province, Cameroon was the target of my last birding part during a trip in February. We departed from the nice Hostelerie de la Sangha in Edea. At least close to Douala it is easiest here to pick up Grey Pratincole and the African Skimmer (Rynchops flavirostris). 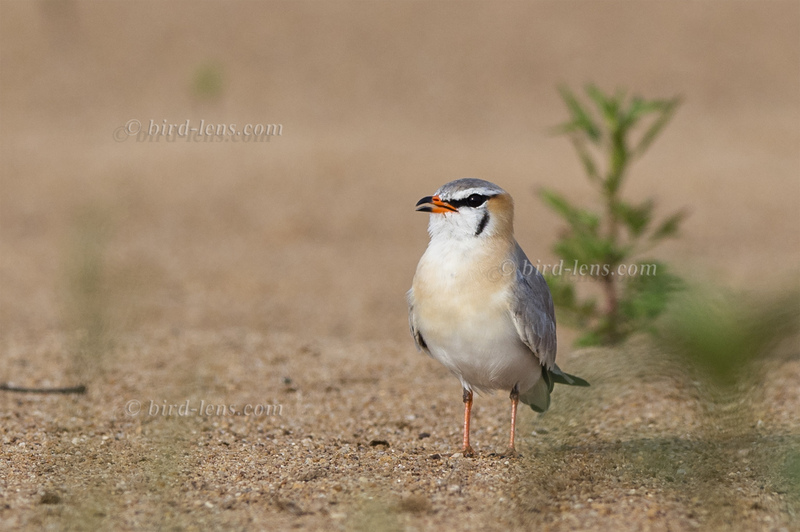 Additionally, Preuss’s Swallow (Hirundo preussi) and some waders were present as well. Coming from Douala we just passed the center of Edea and just after the second large bridge over the river take the first tarmac road left which goes to Dizangue. Soon it becomes a dirt road and after about 10 km from the turnoff the road comes close to the river.